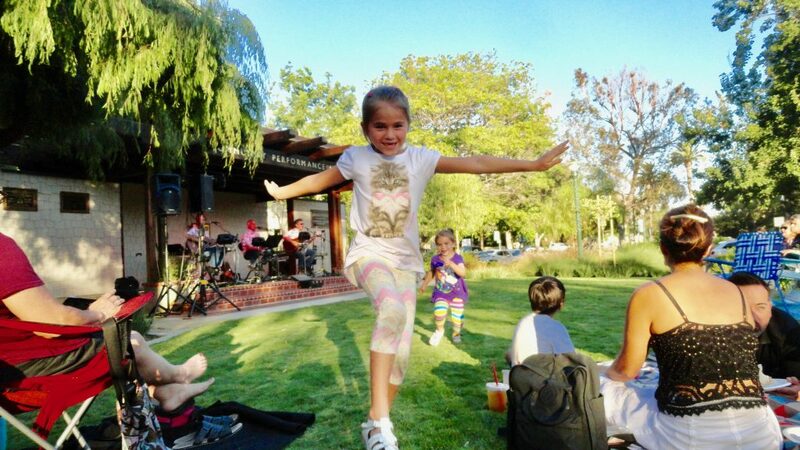 Live music in harmony with gentle breezes, tree branches swaying, dragonflies flitting, and children dancing, skipping, and squealing with laughter. Photography challenges me immensely, so I was pleased to capture my granddaughter skipping to the beat of the song. Her little sis running to catch up was a sweet bonus. Action shots are my favorites. I’m looking forward to more concerts in the parks this coming summer, more precious moments drenched in the sublime. To view other “Smile” photo challenge posts, go here. Yosemite Valley – My Favorite Place. This entry was posted in Grammy Gets It, Kids, Lynn Kelley, Photo Challenge and tagged child skipping, concert at the park, makes me smile, skipping to music, smile photo challenge, sublime. Bookmark the permalink. You will have to come with us this summer to a concert at the park. You’ll love it! Such an adorable action shot you got of the girls…love it! Thanks, Pambelina! It was a lucky shot. Priceless! children always lift our spirits – don’t they? Yes, children always lift our spirits. So precious! And if anyone else is caught skipping…well, it’s just scary. That’s pretty funny, Alex! So, I guess your skipping days are long gone? Thanks for the giggles! Thanks, Yvette. It’s a treasure to me! concerts in the park are the best! nice capture of happy children.